DJIKA is a mid-heel short Booties crafted in printed cow leather together with genuine leather from insole to outsole. The pointy-toe design is streamlined to a sophisticated curvy body, and with an easy-wearing hidden elastic band design at the inner side, it is undoubtedly a showcase of design and craftsmanship. 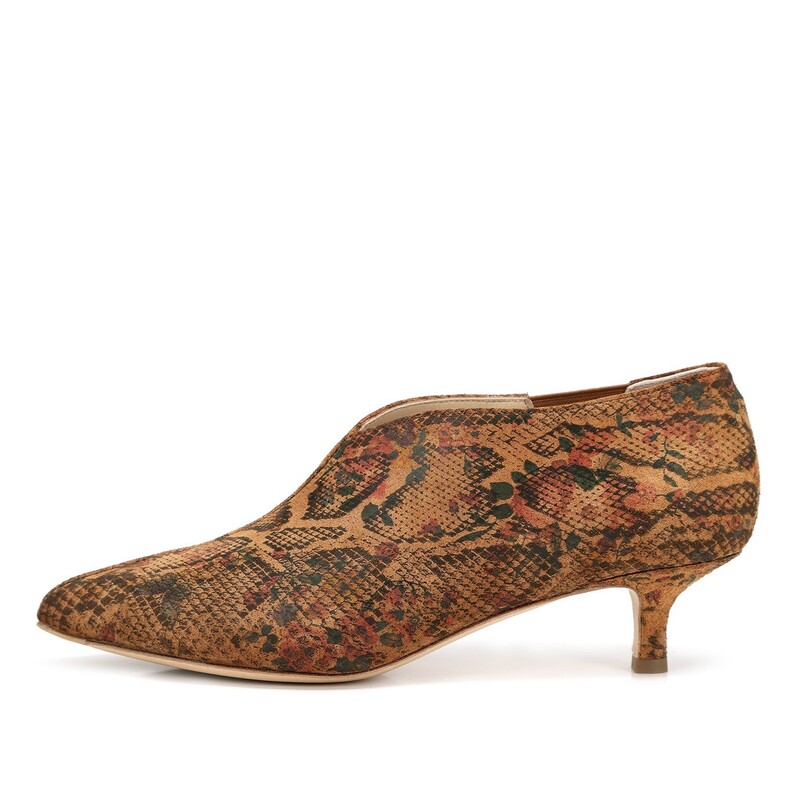 RABEANCO finely python pattern printed cow leather and lambskin leather.